Bright and Breezy Crafts: Apologies!!! which is not like me at all. which card I need to blog! This little beauty was made for my 95 year old Grandma. 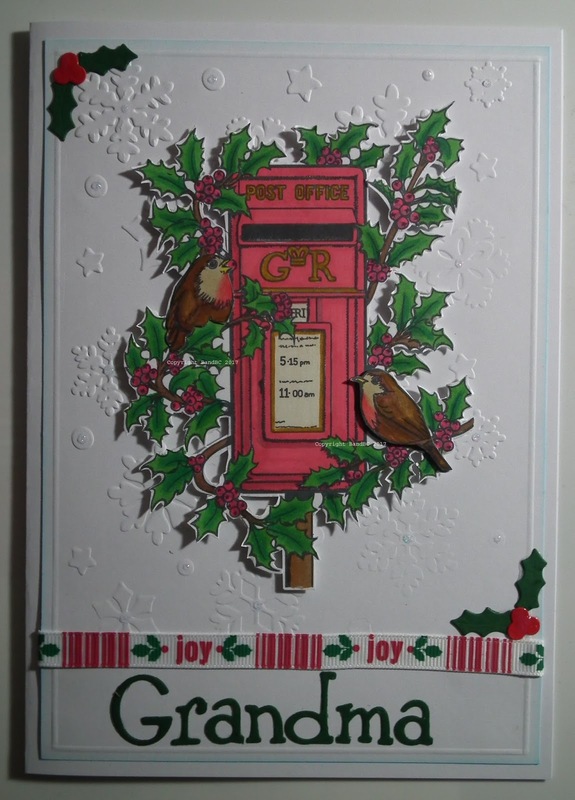 and coloured and fussy cut around the holly postbox image. I paper-pieced one bird and stuck the other on 3d foam, to raise it. The holly and berries are also diecut. I found the ribbon in my stash! Finally, i embossed the background with my snowflakes embossing folder. What a lovely traditional card. Thank you for sharing with us at Crafts Galore Encore.